Leave a lot of space in your luggage, because you’re definitely going to be coming back from Tunisia with a suitcase full of treats. 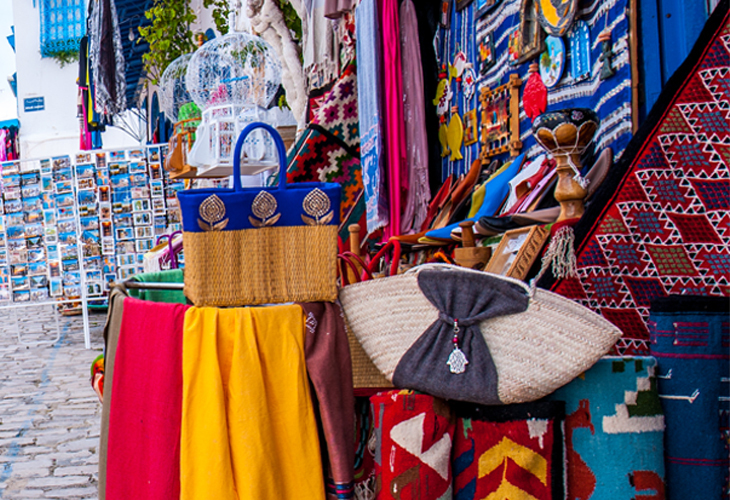 The country is a great shopping destination, where you can explore atmospheric markets, medinas and souks to pick up one-off souvenirs, from rugs and fragrances to ceramics and silver jewels. 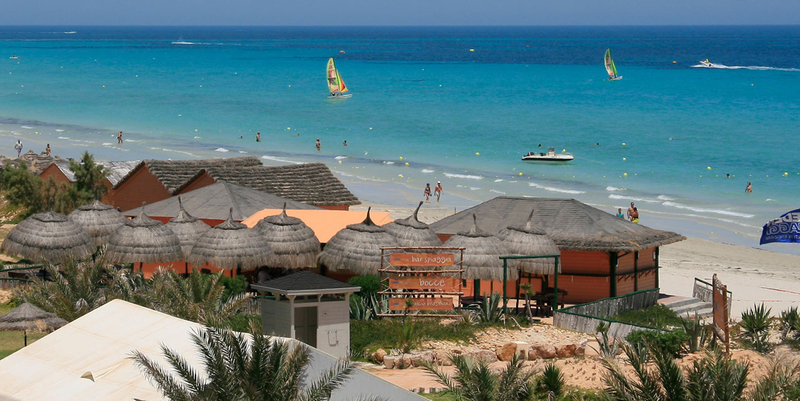 Shopping is one of the most enjoyable things to do in Tunisia. Wandering through the souks is a cultural experience in itself, in which the colours, materials and smells overwhelm the senses. 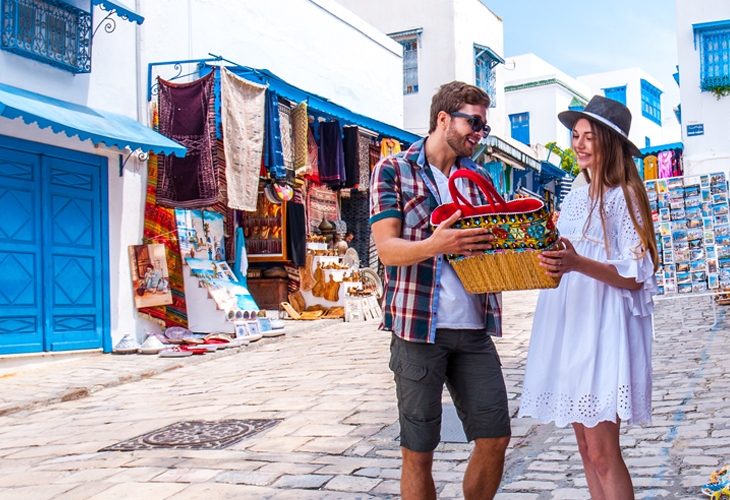 The historic Medina of Tunis, in particular, is unmissable and is one of the main Tunisia tourist attractions: wander through the ancient, UNESCO-protected quarter’s web of alleyways to haggle for your purchases and enjoy a shisha and mint tea glasses. You’ll find that different areas of the country specialise in different crafts, but a good place to start is Denden village in Manouba, Tunis. You can meet a wide range of craftsmen and women displaying their artwork. Another option is to visit the souks and discover the sellers’ hard-selling tactics. It’s also a good place to pick up your souvenirs if you’d rather not haggle (although don’t rule it out, as it’s a lot of fun once you get used to the banter and back-and-forth). Once you’ve familiarised yourself with the prices, be prepared to have fun with negotiating. Hone your haggling skills and you’ll find you can pick up some incredible bargains. Your money will go far in Tunisia as a general rule. So what should you buy? Ceramics and pottery are some of the most popular items to bring home. There are styles to suit all homes, from simple designs to colourful patterns. Ceramics and pottery are mainly produced in Nabeul in Cap Bon, and Guellala on Djerba Island, but are widely available to buy throughout Tunisia. Leather is another favourite purchase for tourists visiting Tunisia, and is made in Kairouan but sold everywhere: you can buy staple items like belts and handbags, but also more niche souvenirs like camel saddles. Kairouan is also a hub for carpet-making and selling, although you can also find a great variety of carpets and rugs in Tunis, Sfax, El Djem and on Djerba Island. 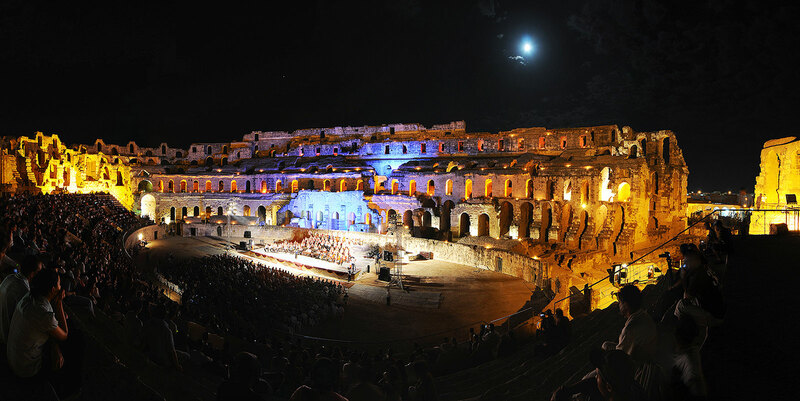 Other Tunisian specialities to buy include essential oils and perfumes, copper, brass and wood souvenirs, delicious pastries, dates and olive oil, and why not pieces of silver jewellery. 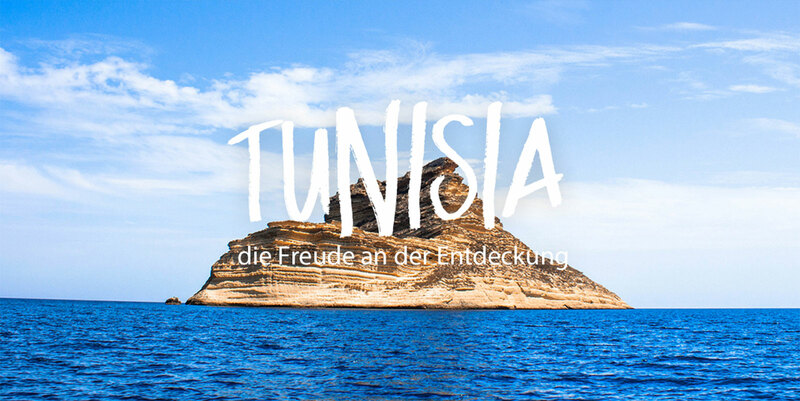 The great thing about shopping in Tunisia is that no matter where you are, you’ll be able to find quality items at good prices. Souvenir shops are widespread and even if you’re mainly planning to stay around your resort, you’ll be able to purchase crafts made from all over the country.